There are so many restaurant are growing up but the question is how many restaurants are present themselves in a good looking. In that case, the number few who to gain this success. Radius theme is gathering the best restaurant WordPress themes. Here the listed WordPress themes contains ample features which made all of themes very flexible. Some of new but very compatible for this modern trend . So you can’t ignore that type of theme. So it is a great platform to find out suitable WordPress theme among the best WordPress themes for the restaurants. Red Chili is a premium polished very attractive robust responsive food and restaurant WordPress theme. There are so many space where can be used as a catering service, coffee shop, pastry shop and so many related service. The useful of this theme is suitable for any device like mobile, laptop, desktop. Red Chili has multiple demo along with difficult page layout. There is also different header style for giving option to choose. Red chili offers you some awesome menu style by which you are able to select which one is perfect for your site. You will get premium & free plugin from this theme. Therefore, it is more cost effective for you. By using Visual Composer, you can create a page & save $34. WP Logo Showcase, layer slider, Food Menu PRO all of this premium plugin are getting free. You can do business in online by using WooCommerce plugin. Red Chili has a powerful theme option for making more user-friendly & also included ample custom addons with several layout. One click demo install help you to see the view of your site. And there so many feature option are waiting, let’s see! 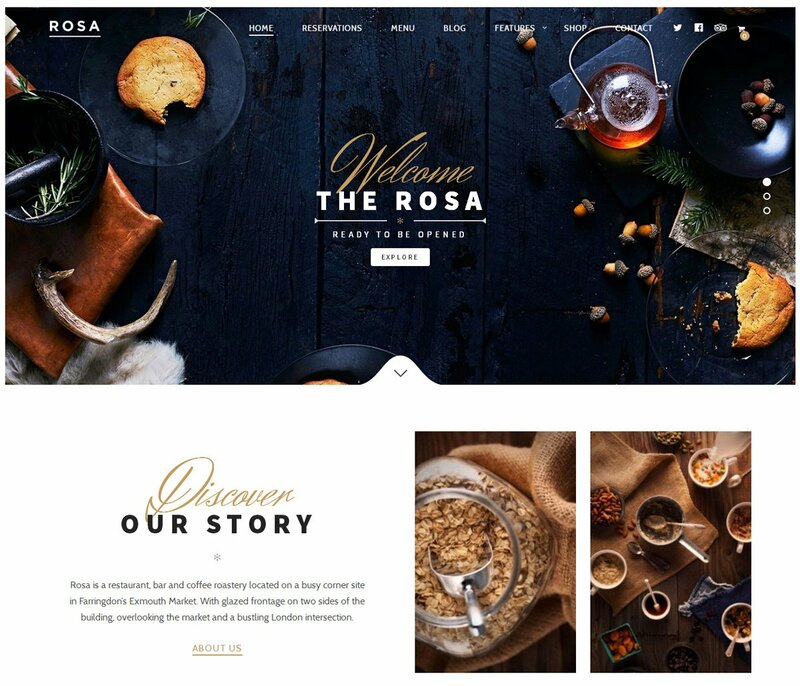 ROSA is a trustworthy limber designed, stylist, well suited with modern trend restaurant WordPress theme for the restaurant industry. The theme is fully responsive and it is a well display at any device. ROSA is always following the modern trend. Today the most popular is online shop which is most famous among the audience. The main advantage of online shop is time efficiency without going outside for purchasing something. Through WooCommerce plugin, it is very easy for doing online shopping. ROSA is fully optimized to increased its speed and also this is made by SEO friendly. Your customer will allow to access online and can make a reservation through online. ROSA is using neat & clean code to develop the theme. You will get the idea about the ROSA to see most recent facebook the review. Let’s see the best WordPress themes for restaurants and compare with features of ROSA! 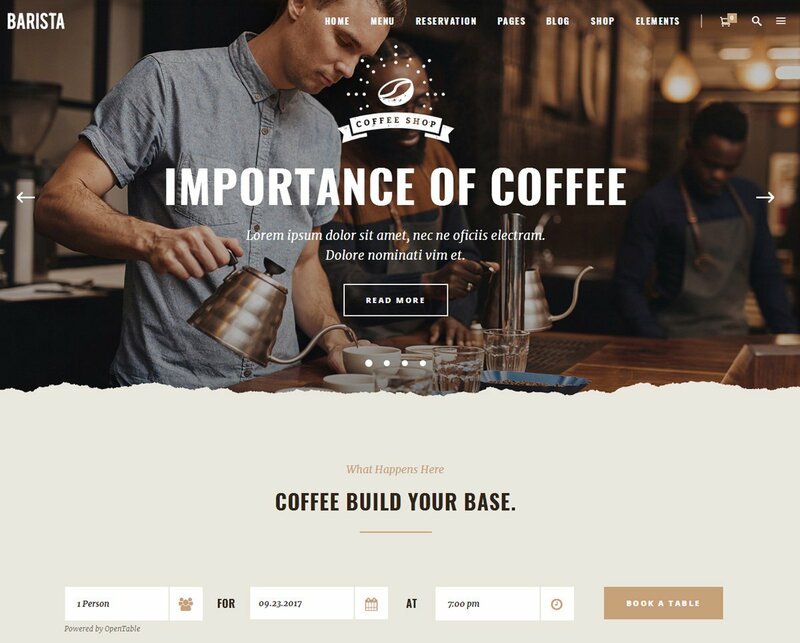 Barista is dynamic outstanding flexible food and restaurant WordPress theme which is well suited for the cafe or coffee shops. The theme also can be used as bar. There is multiple home page that is an awesome offer to choose. You can use one click import by using demo content. If you want to keep online reservation system, you will be allowed to do it. Barista give an option to change the color according to choice. The most important thing is a important for restaurant that menu. Every restaurant wants to make their menu in a attractive way. To solve this problem Barista come with a “cafe menu”. For doing online shop, you must need a WooCommerce plugin. With the help of this plugin the task is very use for you to maintain online shopping. Barista is done well to complete this theme and you will also see the theme is well documented which is indicate how comprehensively done of this theme. For more info check the demo!! Restaurant cafe is a specialized gorgeous food and restaurant WordPress theme. The theme has an ample features like responsive & retina ready display. Restaurant cafe not only used for cafe, restaurant but also can be used as a bakery, pizzerias etc. Restaurant cafe is made proficiency design so that the theme can gain attention of its target customer. Restaurant cage has menu page by which you can show your item. It also included the review option which is most important for a restaurant. If the user having lack of coding knowledge, theme will be no problem to manage the theme. There are different type of header and footer style of this theme. The menu & reservation plugin is free for this theme which save your $29. There are so many features are included, just see the features before purchased!! 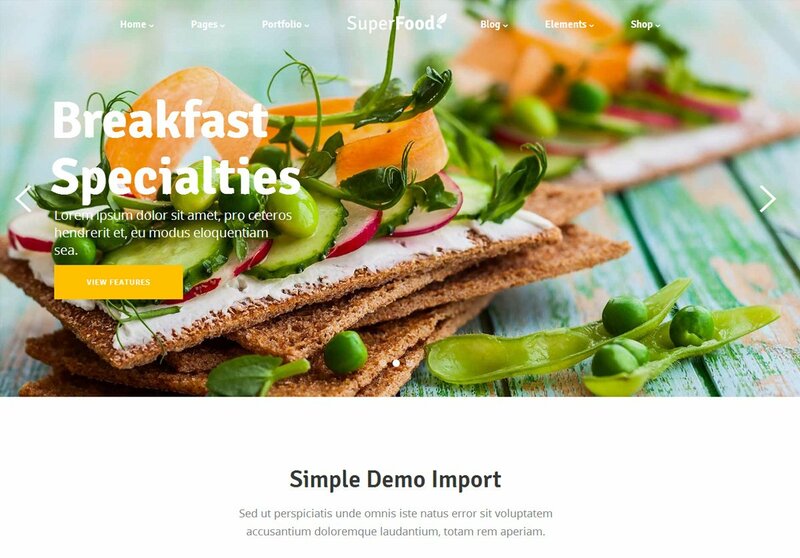 Superfood is sophisticated, highly stylized & modern food and restaurant WordPress theme for the organic food & health related product. The responsive feature is included of this theme as well as multiple home pages also. Multiple different homepage is a great option for the purchasers. The developer try to give more user friendly by using awesome features. Therefore, it is very easy to handle for a user though having no coding knowledge. Superfood has a impressive inner page template by which anyone become happy. You will get social feed widget such twitter widget, Instagram widget. There are so many short code using in this theme. You are allowing to customize your menu if you want. For making online shopping, it introduced WooCommerce. Let’s see there are so many outstanding features!! Savory is a premium resourceful stylist clean restaurant WordPress theme for the restaurant industry. The theme is well suited for any device which is more demanded feature. Savory has multiple home page along with so many inner page by which you have a lots of option to meet your demand. The theme is customizable according to your need & you can do it through the powerful admin panel. To see the demo of your site how it is, you can use one click demo which is help you to import demo. You will get here modern widget demand like Instagram feed widget, twitter feed widget and also post modern widget. There is no necessary to keep knowledge on coding to handle this theme & also it is a great advantage of this theme. If you will find the best WordPress themes for restaurants, then Savory will have among the top list. Let’s see!! FoodBakery is an incredibly & aesthetically top quality food and restaurant WordPress theme. The theme has an option for multiple restaurant system. 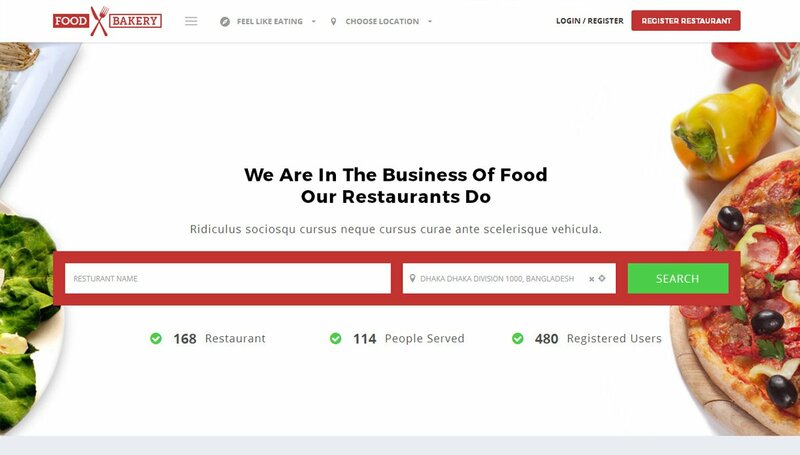 FoodBakery give an option for the owner of restaurant to manage his/her restaurant anywhere through the membership option. You will get multiple amazing homepage. FoodBakery come with a separate dashboard by which buyer or user is allow to use it. You are allowing to generate the new page with the help of “Drag & Drop” page builder without the expertise of coding. FoodBakery has free essential plugin which is most important to a user for easy handling their website like WPML, strip, contact forum7 and so more. WooCommerce plugin is also used here for doing online business. There 750+ Google fonts are including in FoodBakery. FoodBakery has an amazing support team who are ready to provide support. Let’s explore the features!! Cristiano Restaurant is a marvelous most beautiful & responsive restaurant WordPress theme for the cafe, restaurant, pizzerias and similar business. You will be happy to see the design of this theme. The developer makes the design more attractive and also include some awesome function. Cristiano Restaurant use simple but nice menu bar which is make more gorgeous of this theme. You will get four header layout of this theme. You will allow to bring variation of your menu price. Cristiano Restaurant has several background for it boxed layout. You have an option to choose your favorite color through the unlimited color option. 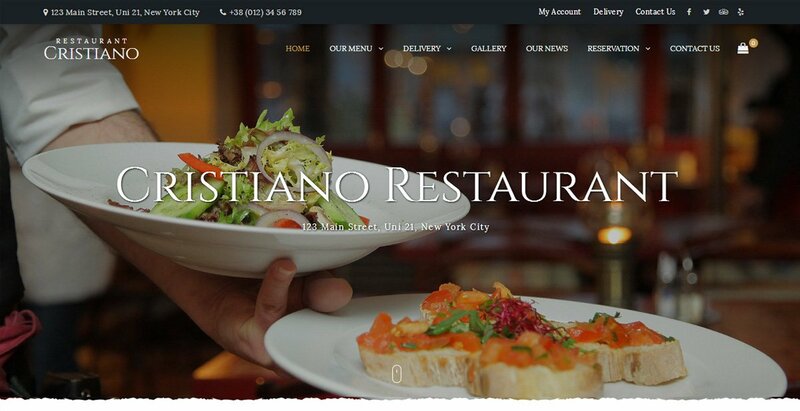 Cristiano Restaurant is fully responsive and also it has some user-friendly short codes. Let’s see the Cristiano features!! 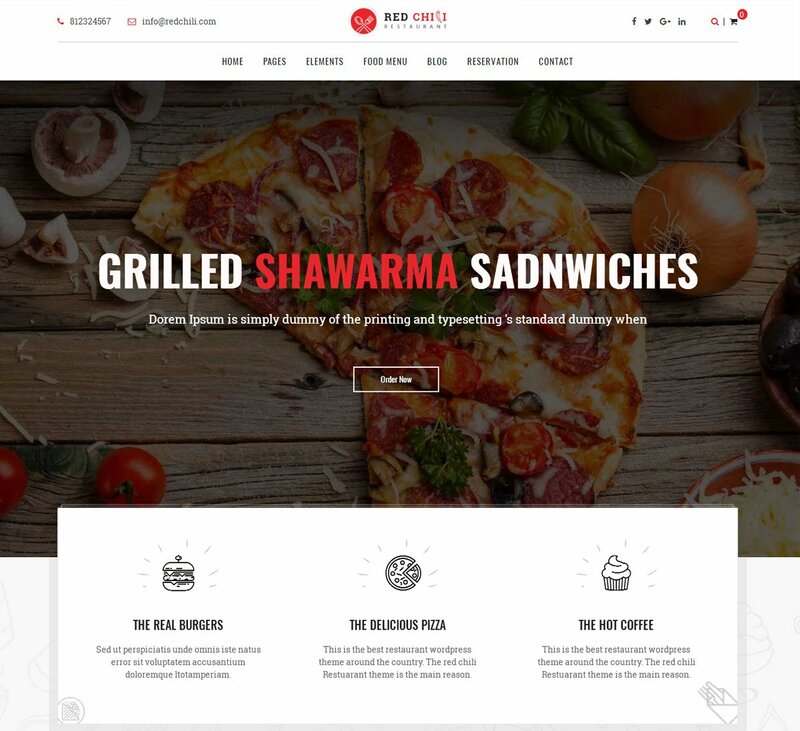 FoodPicky is an innovative & different concept restaurant WordPress theme which is made for the purpose of take ordering & delivery food. The main task of this theme to deliver food of different restaurant who have not delivery system. FoodPanda , Just Eat and so many provide this type of business. 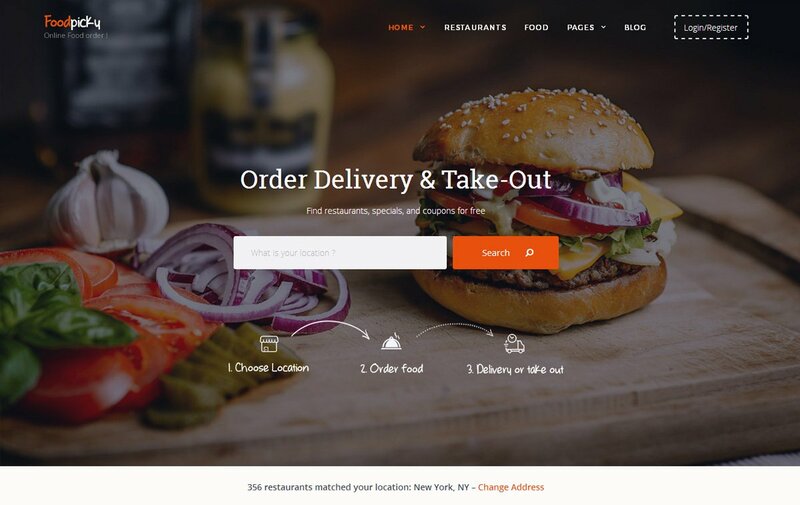 FoodPicky is coming to help to take the online ordering & to deliver the final customer who order food. Absolutely you will get the facility of WooCommerce plugin along with technical requirement at a free by which you will conduct the business smoothly. FoodPicky is also give an outstanding option that approve other vendor to sell such as JustEat and many others do this type of business. You have an option to customize FoodPicky. There are so many features are waiting for you, you just explore the FoodPicky!! 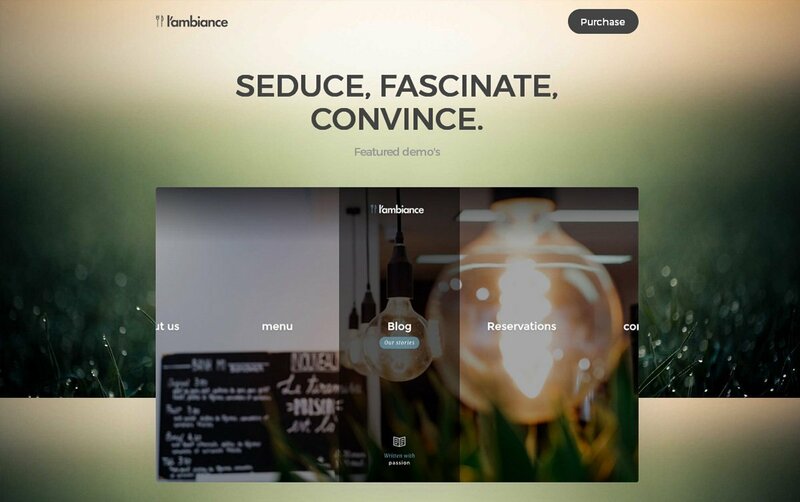 Ambiance Restaurant is a spectacularly creative polished food and restaurant WordPress theme. It can be used any type of bar or shush lounge or similar business. The main advantage of this theme anyone can handle or manage this theme without having coding skill. 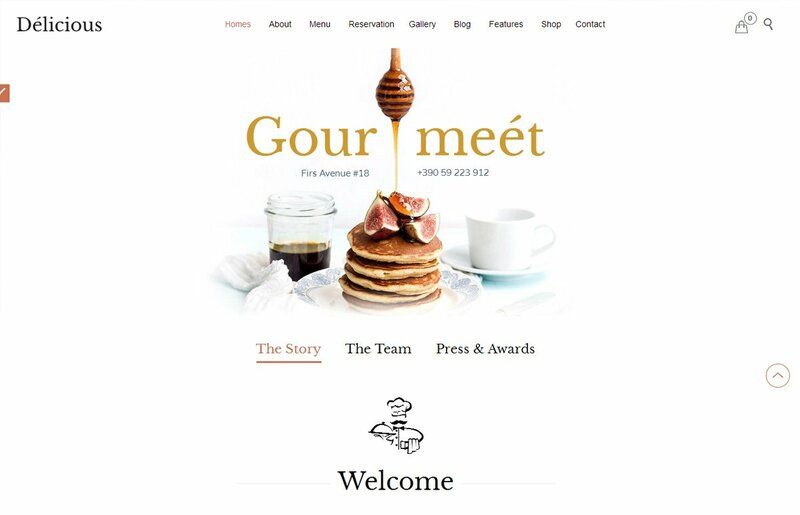 Ambiance restaurant is fully responsive and malleable theme. Without any disturbance you can easily manage the theme. Ambiance has superior customer service for facing any theme related problem and ready to guide individually. You will get predefined demo which is help to choose or take correct decision. Let’s see the features of Ambiance!